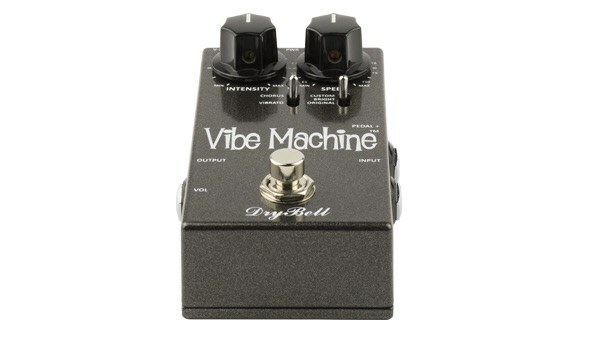 Looking for the ultimate Vibe pedal? Then look no further! And all in a small box, 'board friendly enclosure. But don't let the size fool you- this little stompbox has an astonishing amount of flexibility and tone-shaping options, all with the rich, three-dimensional harmonics and textures you'd expect. So with this V-2 unit all the tonal options from the original V-1 are there but with 3 new ‘set and forget’ side controls to the V-1 arsenal: CHORUS, GRIT and CUSTOM. All controls have their factory settings. The CHORUS trimmer adjusts the depth of vibe modulation so the user can adjust the swirl/watery/chewy character of the chorus sound and can be tailored to best suit the application- if you play in a band setting the trimmer to about 12 o’clock means your guitar will cut through the mix better but for bedroom level this trimmer sounds better set to 2 or 3 o’clock. 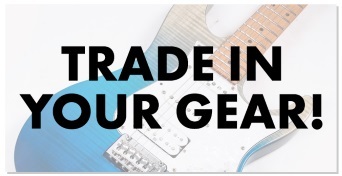 Try a fuzz/dirt pedal or just an amp after the V-2 and with GRIT you can find your tonal sweet spot with whatever is next in chain. This new control adjusts the overall presence of the pedal’s tone and it is very interactive with the volume of the output signal. The CUSTOM trimmer adjusts the input impedance when the new three way ORIGINAL/BRIGHT/CUSTOM switch is set to the CUSTOM position. 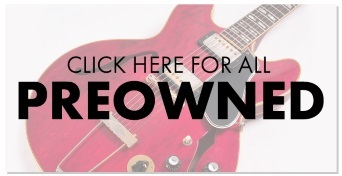 If you switch guitars on stage, sometimes you may want to flip this switch to balance your guitar’s brightness. With the VOLUME trimmer at its maximum setting, it boosts your volume above and beyond unity gain. 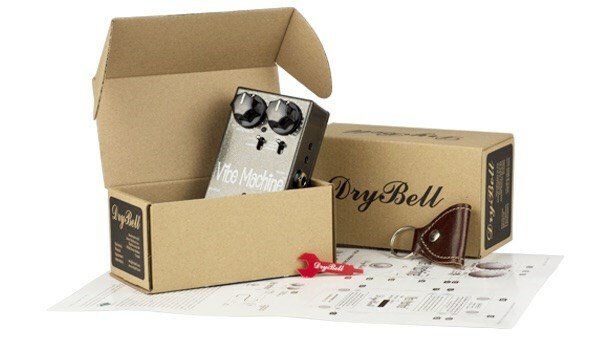 With a higher volume setting you can push your amp or next pedal for a dirty-vibe sound. 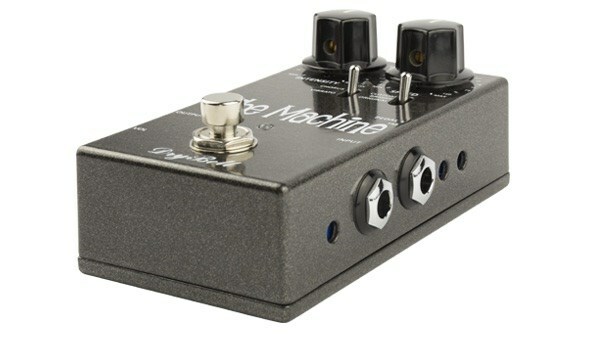 We also developed several new options for people that want to experiment and love to play with the expression pedal, or maybe use the V-2 with an external footswitch. 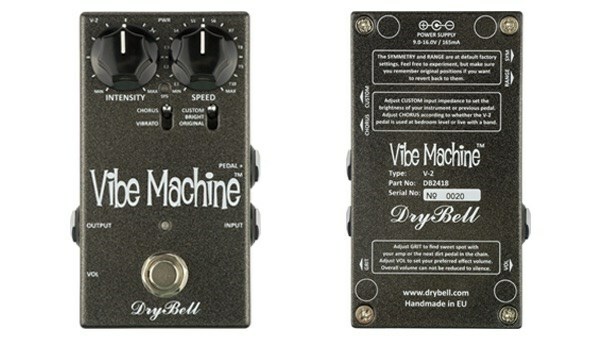 The new Vibe Machine V-2 has a CANCEL function, TAP TEMPO feature, Fast/Slow with adjustable Leslie® ramp delay (not only ON/OFF like on V-1) or a Two speed function. CANCEL function – Just like on an original Uni-Vibe®, a warm & darker sounding bypass (Cancel on original Uni-Vibe®) is now available on the Vibe Machine V-2 by the touch of your heel. Please refer to the Options manual for more information. 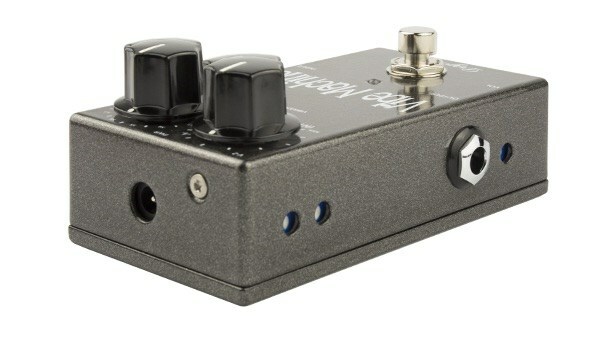 Furthermore, there are a couple of ‘set and forget’ digitally controlled options like different footswitch type compatibility, expression pedal pot taper adjustment and more. Check the V-2 options manual to see all of its features, any vibe sound you hear in your head you can achieve with this pedal!